I have been meaning it write this blog for ages and Sunday always seems like a good day for blog writing. 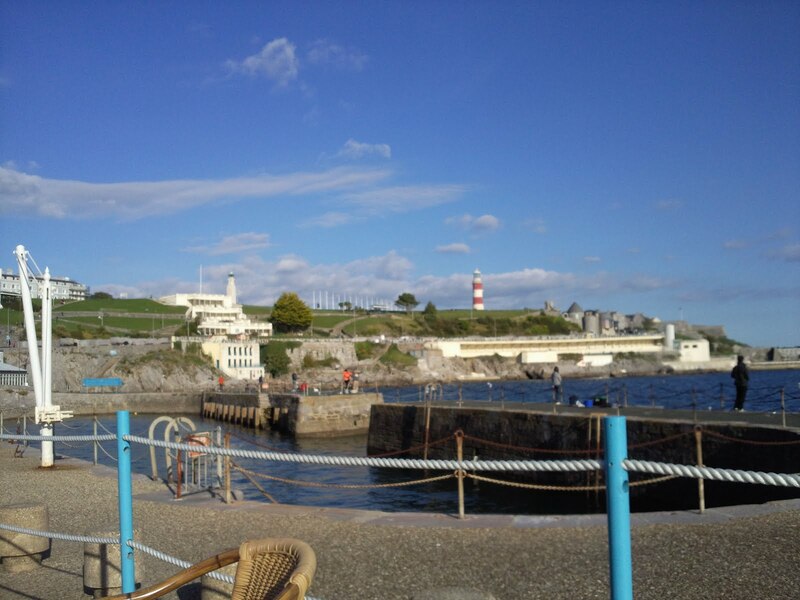 I would like to share with you some of my favourite places to eat in and around Plymouth. Over the past few years I feel that the amount of good cafes and restaurants has increased offering more great food and service than ever before (I still miss Barzeegco though!). 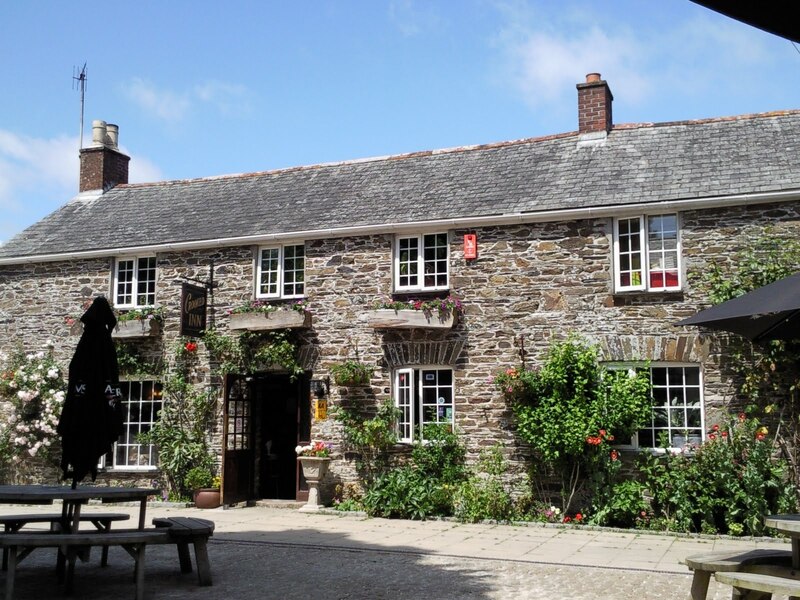 I must start with a pub/restaurant situated just outside Plymouth in the picturesque valley of Milton Coombe on the edge of the stunning Dartmoor National Park. 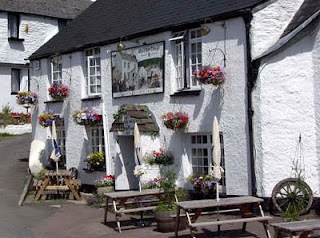 The Who'd have thought it inn is a 12th century inn that has just received an award as one of the top 12 pubs in Britain. The menu is superb and the food I think, is reasonably priced when you consider the sumptuous dishes on offer. The pub is dog friendly and offers some of the best cask ales I have tasted in a long time which is why the pub has earned its place in the Good Beer Guide. I think my favourite dish to date is the locally sourced Haddock cassoulet with a rosemary and parmesan crust accompanied by a pint of Sharp's Honey Gold. 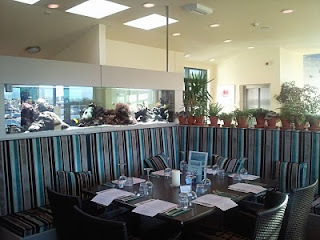 If you fancy some where a little more central then there are 2 waterside eateries I can recommend, the first is the Brunning family restaurant, The Bridge at Mountbatten. The Bridge is a brand new build that has been beautifully decorated and has amazing views of Cattewater and the Sound. The food is locally sourced wherever possible and most of the vegetables come from the family's own farm venture the Nearly Naked vegetable company. The menu has something for everyone and you can choose from the lavish restaurant or more relaxed ground floor dining area with its beautiful, decked patio overlooking the water. I recommend the fish stew with alioli washed down with a pint of Hunters ale Half bore (not to be confused with its stronger 8% brother Full bore!). 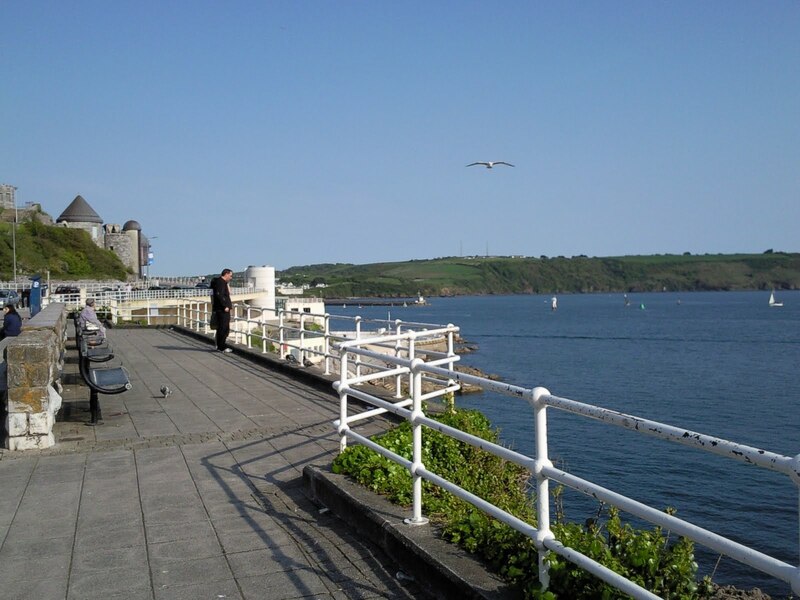 The 2nd seaside establishment is the Waterfront Restaurant, which in my opinion has one of the best sea views in Plymouth. The waterfront has recently seen the installation of a new chef, Sam Lounds, a protege of Jamie Oliver. 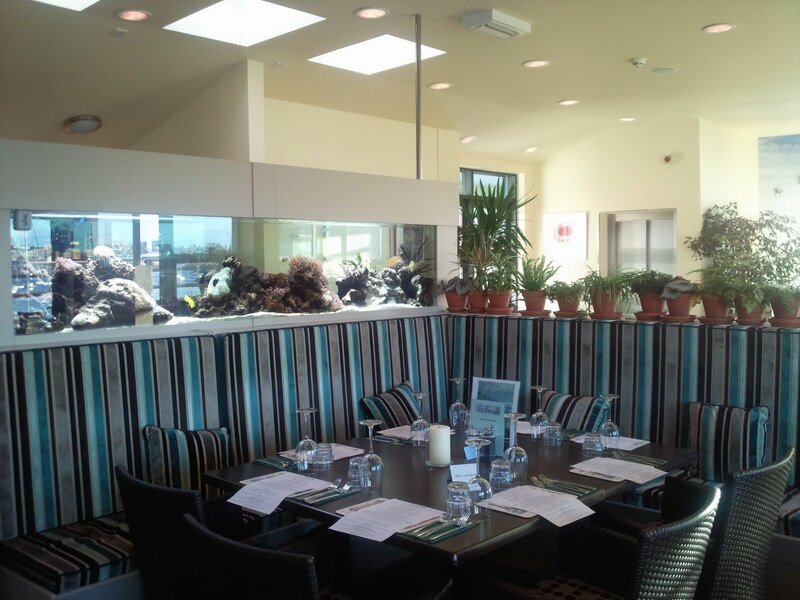 Sam has revamped the menu so that once again the Waterfront is a great place to eat and savour the amazing views. The restaurant is open all day providing breakfast, lunch and dinner. One of Plymouth hidden gems has to be Bistro One, tucked away in the increasingly popular Independent shopping quarter of Ebrington Street. Bistro One, run by local wine expert and chef Stephen Barrett (pictured left), offers perfectly cooked recipes and great service. The breakfast/lunch menu is ideal for those looking for a lavish bite to eat and giving you a chance to peruse the evening menu which is sure to entice you back for more. 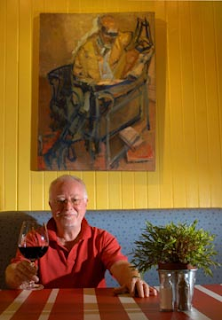 Don't let the restaurants small size put you off, this place is brimming with ways to stimulate your senses, it is a wine lover's paradise as well as featuring regular art exhibitions, live music events, poetry and much, much more. Don't take my word for it, try it for yourself. You may have already guessed that I have penchant for Seafood and Real Ale so it is hardly surprising that I can't resist a 10oz Tuna Loin cooked on a black rock grill and accompanied by a pint of Sharp's Doom Bar or the pub's very own Hunter's ale brew Butcher's Best. The Butcher's arms is often overlooked as many people flock to the new Seco Lounge, my preference is to go to the Seco Lounge for a quick drink first and then dine at the Butcher's arms. In addition to the lovely food and ale the Butcher's arms has one of the best bar maids in the world and it is worth going to the pub just to be served by Leanne. When talking of eating out in Plymouth I really should mention the Tanner brothers restaurant and their other venture the Barbican Kitchen. I have only eaten at the latter of the two establishments but it is rumoured that the celebrity chefs are about to get their first Michelin star. Another eaterie I have to mention is the place where I had my final meal before getting married. On the morning of my wedding my Mum and I collected Fern, one of my bridesmaids and headed off to the Port of Call for a good old English breakfast. For me the Port of Call is like Cap 'n' Jaspers (picture above of me drinking tea at Cap 'n' Jaspers), it is a part of Plymouth and it provides food at great value for money. OK, so there are places I have probably forgotten who do deserve a mention so feel free to comment and share any of your favourite places to eat out. Before I sign off for today I would like to have a quick whinge about what was one of my favourite places to eat/drink; The Coffee Shack, this tiny building has one of the most panoramic views of Plymouth Hoe possible (check out part of the view in the picture above) but I feel the price for enjoying this view is now too high. Whilst I appreciate that all businesses are finding it hard and many have been forced to put their prices up there really is no excuse for charging £4.50 for a sandwich and £2.95 for a coffee. I visited the coffee shack yesterday and spoke to several people who were eating there, they were tourists and were horrified at how much they had been charged, then I spoke to several local people who used to be Coffee Shack regulars but who now take their own drinks and sandwiches to enjoy whilst visiting the Hoe. 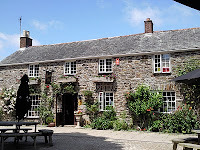 Other pub restaurants who really deserve more blog space than I am giving them are The Crooked Inn at Trematon (nr Saltash -pictured above), the Royal Oak at Meavy and the Mussel Inn at Down Thomas (perfect for the Whiskey connoiseur). All of these pub restaurants are family run, extremely friendly and offer great food and ale. They all welcome both children and dogs although I prefer the latter! Well, it is now time for me to dash to work for some filming for a TV documentary, more to follow on that soon.